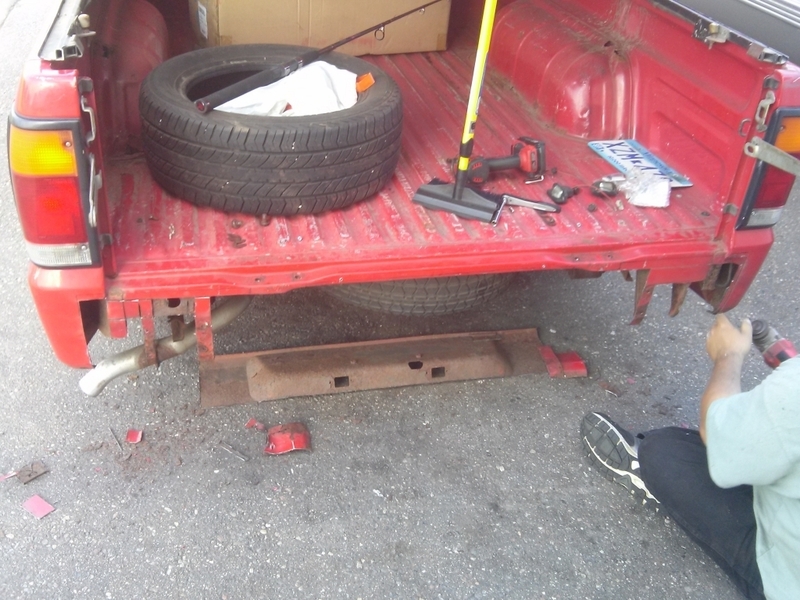 Torsion bars were reindexed to lower front and shorter front shocks with air shock rear. 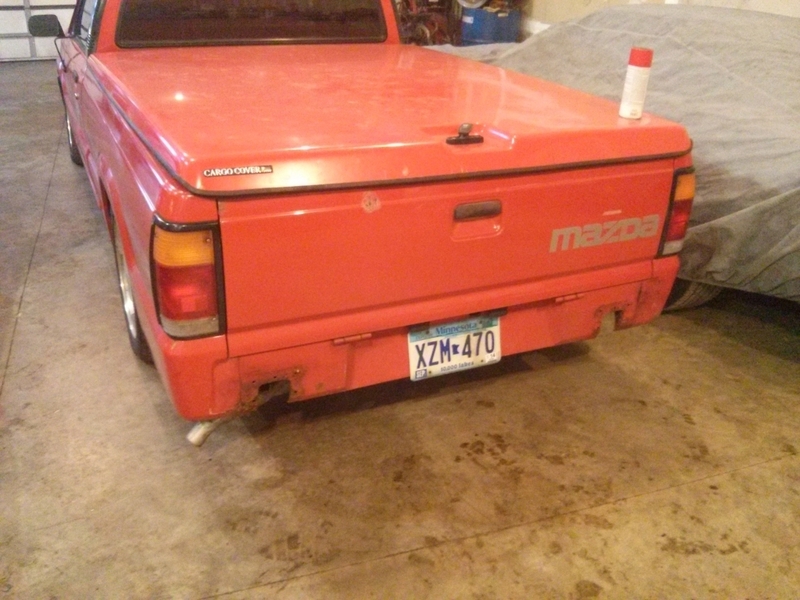 Front bump stop brackets cut off. 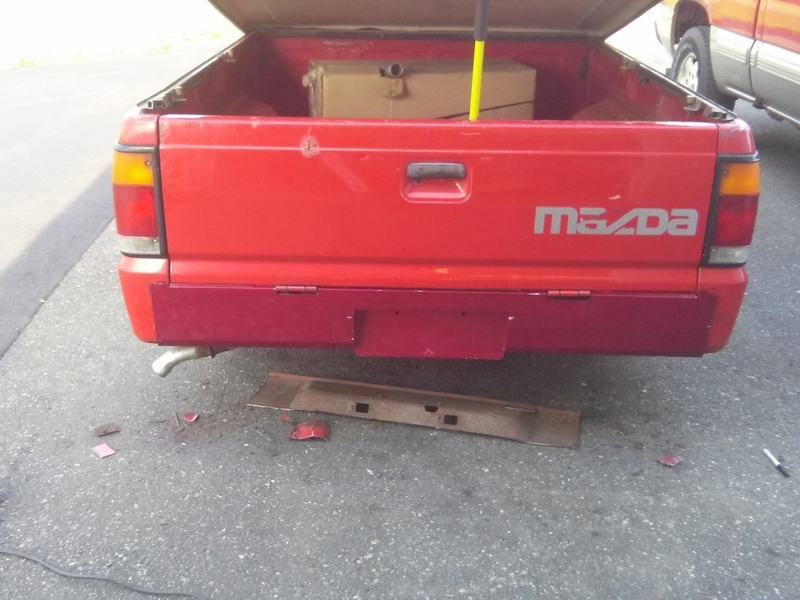 3&quot; lowering bocks with 2 leaf springs. 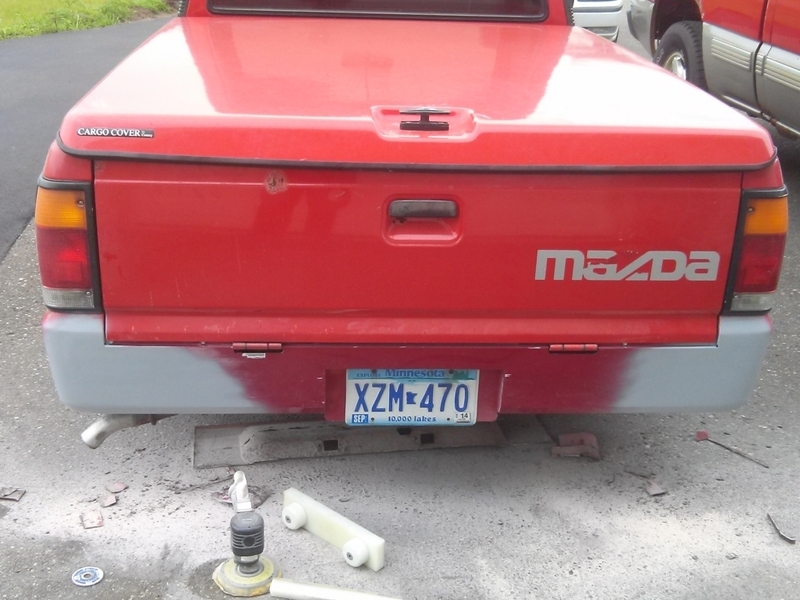 7&quot; total static drop. 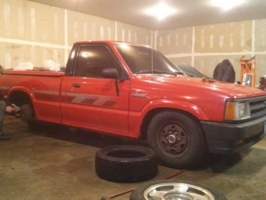 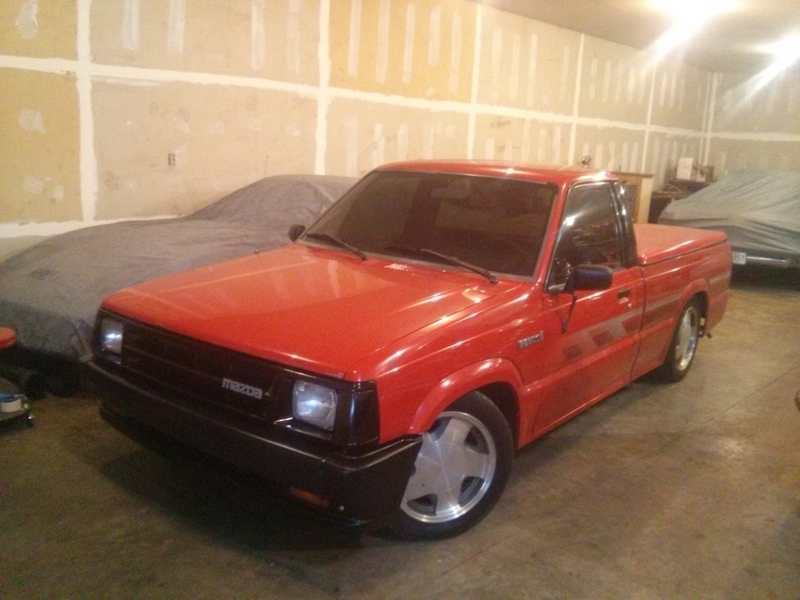 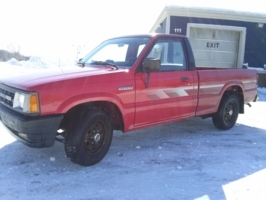 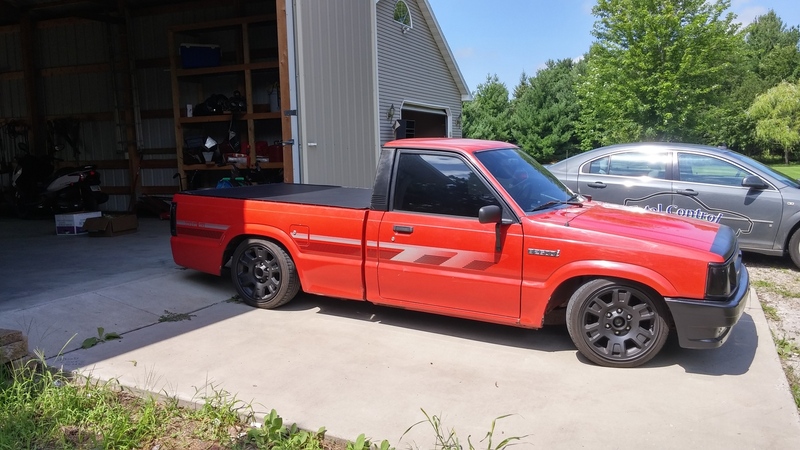 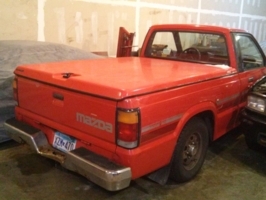 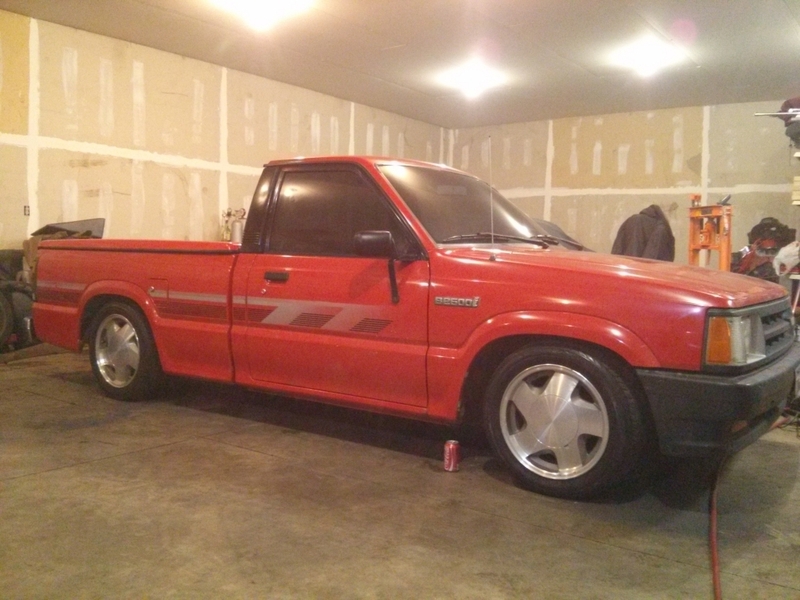 Added my 1990 Mazda B Series Truck!